Developer studio Naughty Dog revealed more details regarding the final chapter in famous franchise, the Uncharted The Lost Legacy. According to the developer, Uncharted The Lost Legacy is scheduled for release on August 22nd, 2017 for PlayStation 4 with the cost price of $39.99/€39.99. 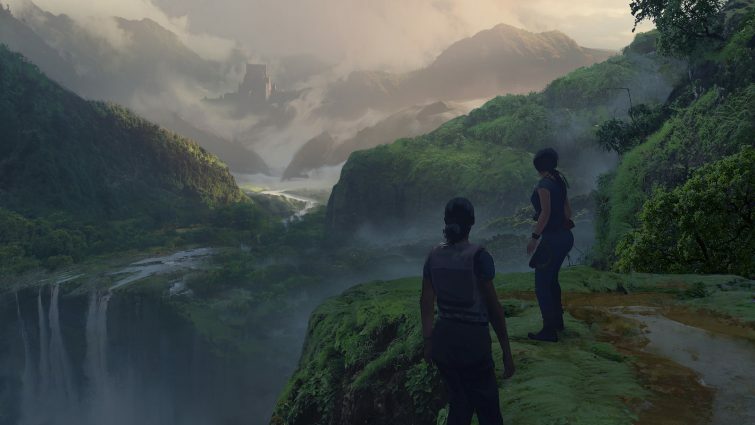 Uncharted The Lost Legacy is a standalone DLC in the franchise for the Uncharted 4: A Thief’s End, which will not feature the franchise hero Nathan Drake. Furthermore, there’s also a good news for those who pre-order the Lost Legacy. Those who pre-order the Uncharted The Lost Legacy from the retailers will be getting a free digital code to download Jak and Daxter: The Precursor Legacy on August 22nd. While those who wish to pre-order from the PlayStation Store will get an Uncharted The Lost Legacy PS4 theme designed by Truant Pixel. While those who purchased the Digital Deluxe Edition of Uncharted 4: A Thief’s End will be getting The Lost Legacy for free, but that will not include the bonuses which will be availed by those who pre-order the DLC. As previously announced, the expansion pack is set after the events of last entry in the franchise, featuring three characters, i.e., Chloe, who will feature as the protagonist, Nadine who will accompany Chloe in her journey and Asav, the villain of the story. The story is expected to last around ten hours and will feature the biggest area in the franchise history.